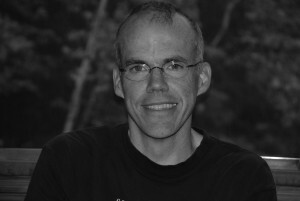 Mr. Bill McKibbenÂ is an environmentalist, journalist and author of over fifteen books about the environment, beginning with The End of Nature (Random House, 1989), which is regarded as the first book for a general audience on climate change. He is a founder of the grassroots climate campaign 350.org, which has coordinated 15,000 rallies in 189 countries since 2009. Time Magazine called him â€œthe planetâ€™s best green journalistâ€ and the Boston Globe said in 2010 that he was â€œprobably the countryâ€™s most important environmentalist.â€ Schumann Distinguished Scholar at Middlebury College, he holds honorary degrees from a dozen colleges, including the Universities of Massachusetts and Maine, the State University of New York, as well as Whittier and Colgate Colleges. In 2011, he was elected a fellow of the American Academy of Arts and Sciences; he also led the largest civil disobedience action in 30 years in America, spending three days in jail in an ultimately successful attempt to block a pipeline from the tarsands of Canada. Bill is a frequent contributor to various magazines including The New York Times, The Atlantic Monthly, Harper’s, Orion Magazine, Mother Jones, The New York Review of Books, Granta, Rolling Stone, and Outside, as well as a board member and contributor to Grist Magazine. He has been awarded Guggenheim and Lyndhurst Fellowships, and won the Lannan Prize for nonfiction writing in 2000. Bill is a member of the Methodist Church and longtime Sunday School teacher. His other publications include Enough: Staying Human in an Engineered Age (2003), Deep Economy: The Wealth of Communities and the Durable Future (2007), and Eaarth: Making a Life on a Tough New Planet (2010).